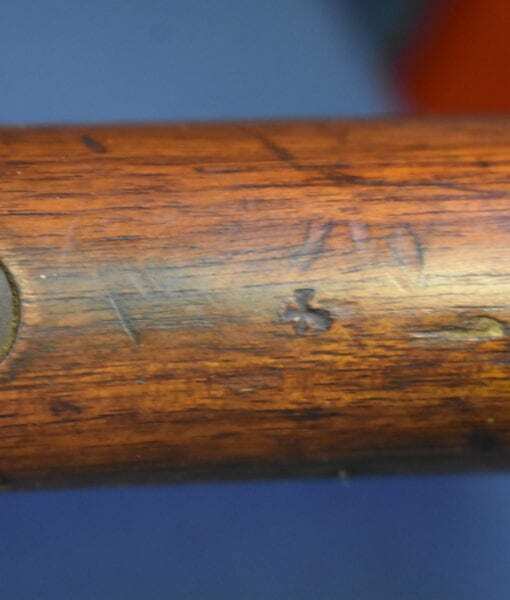 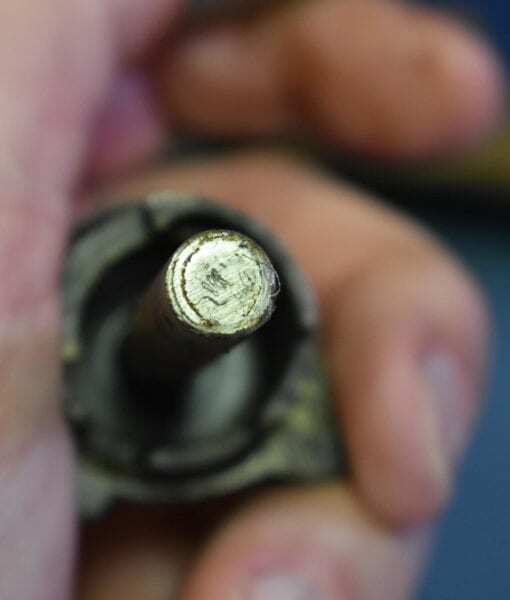 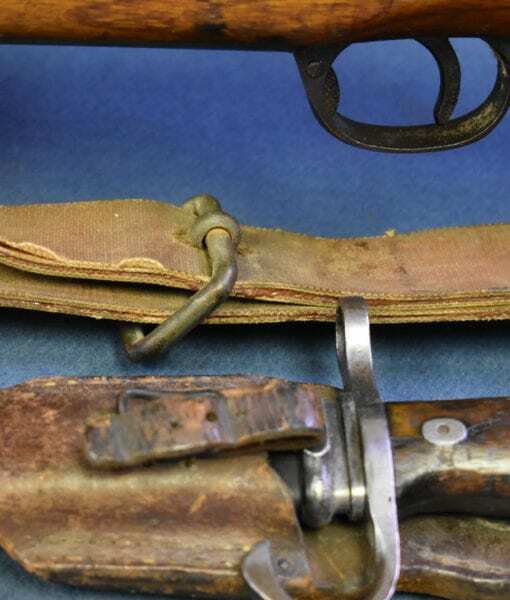 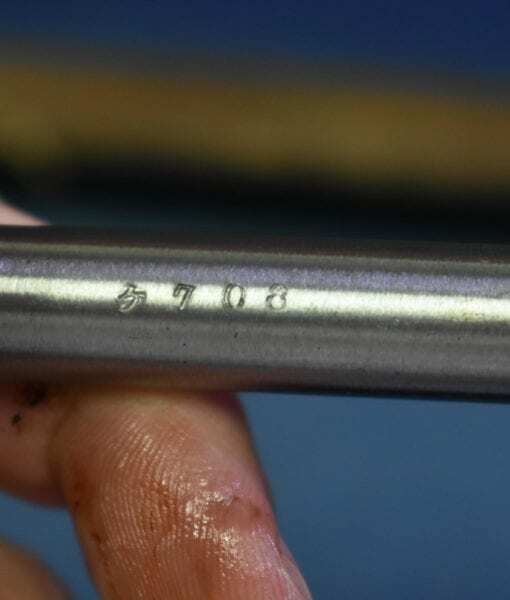 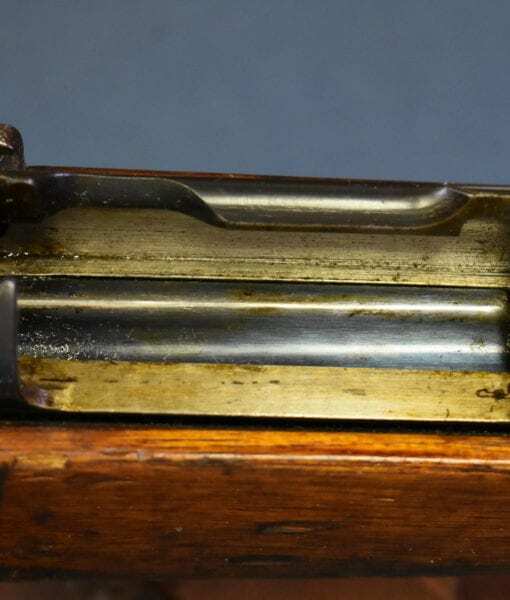 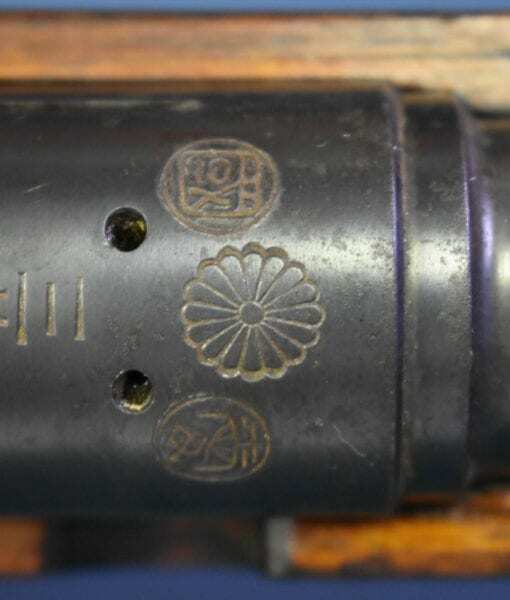 SOLD ULTRA RARE & IMPORTANT “LOVE OF COUNTRY” MARKED TOKYO ARSENAL TYPE 38 ARISAKA LONG RIFLE…..MATCHING WITH BAYONET!!! 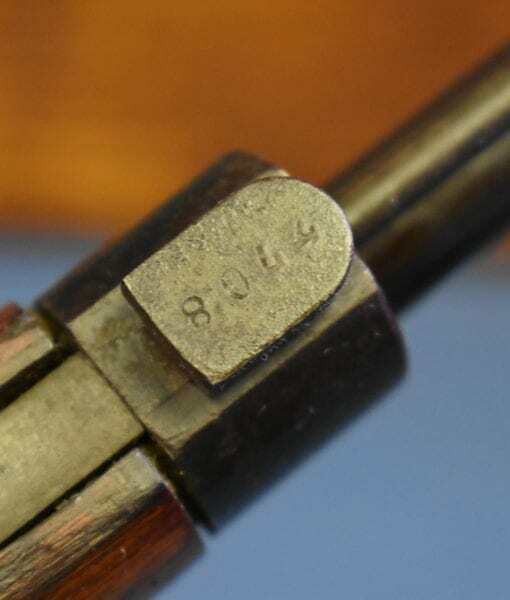 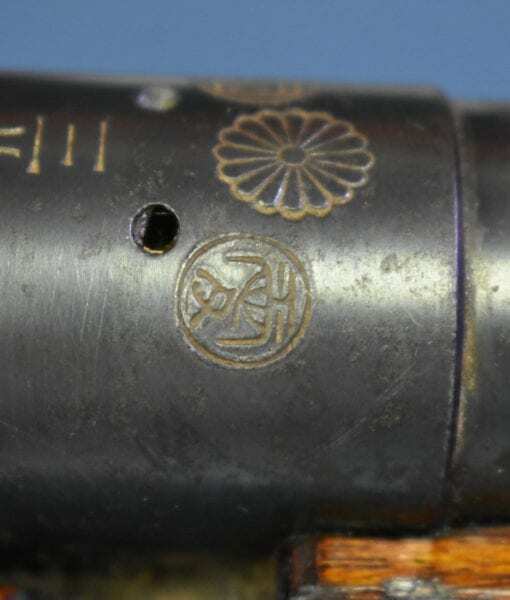 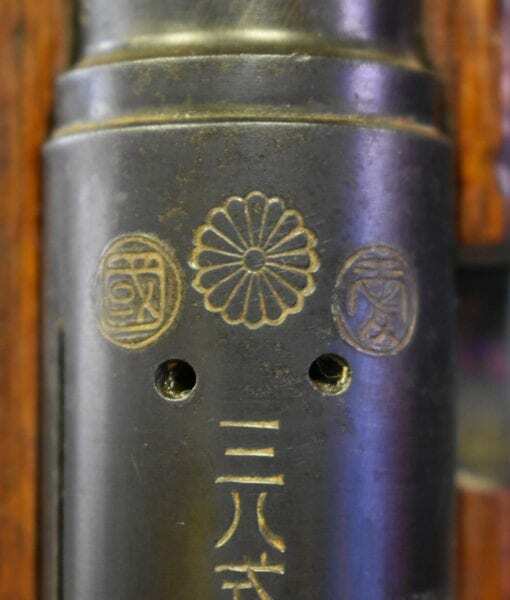 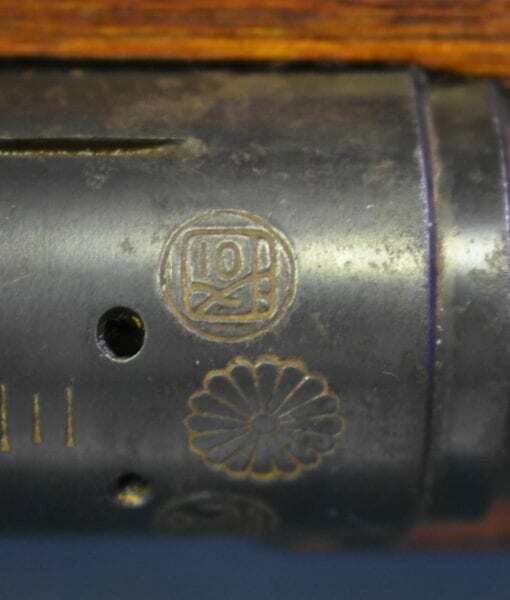 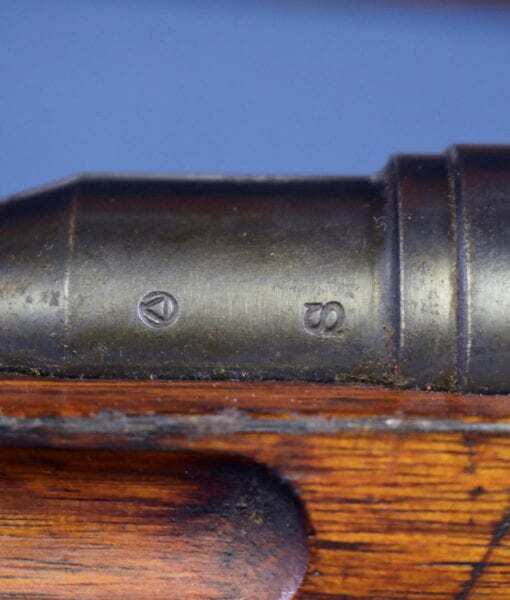 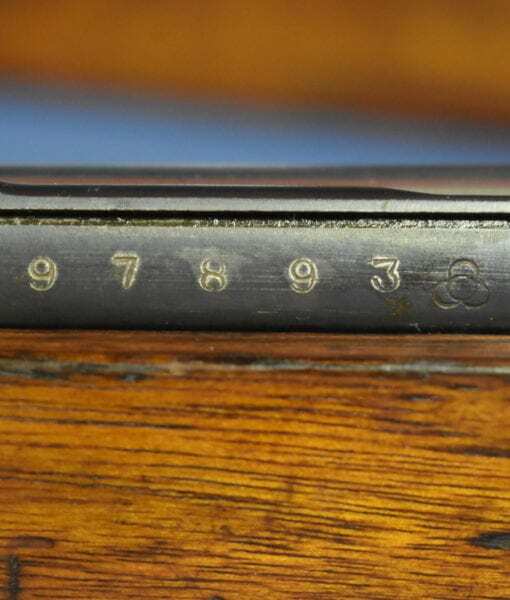 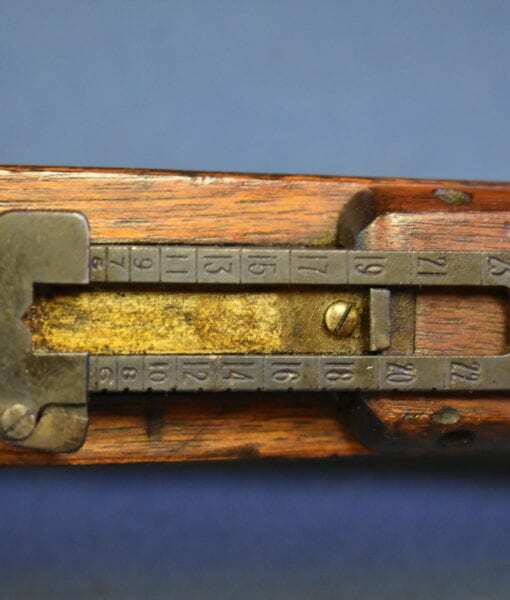 This is certainly one of the rarest and most desirable Japanese Rifles that we have had come into the office, In very very sharp condition we have a Late no series Tokyo Arsenal Type 38 Arisaka Long Rifle that has the Ultra Rare twin Kanji Symbols for “Love of Country”. 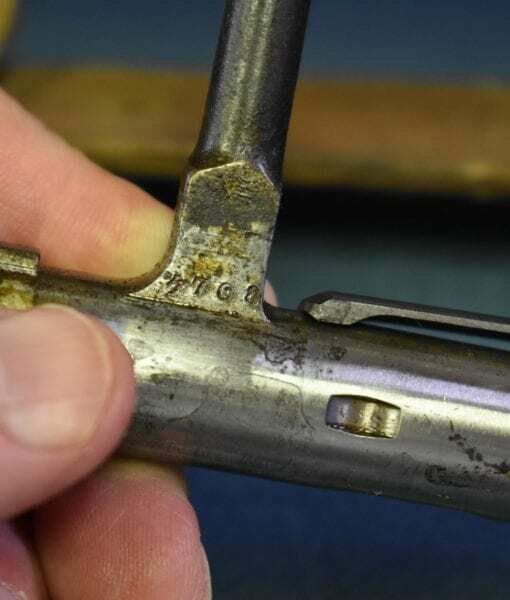 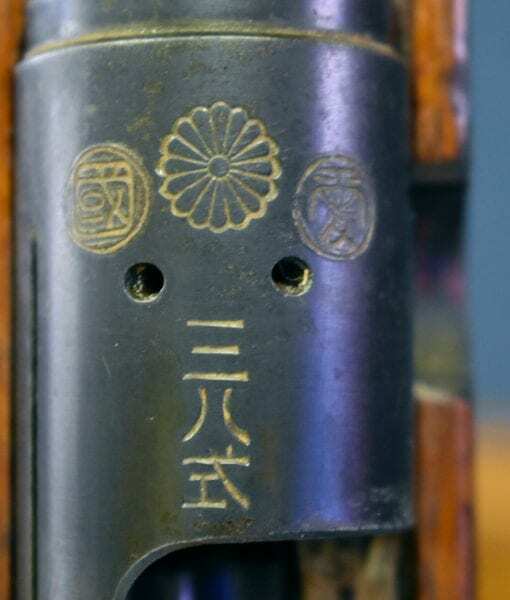 There are only approximately 12 of these rifles known to exist and some of those have defaced crests. 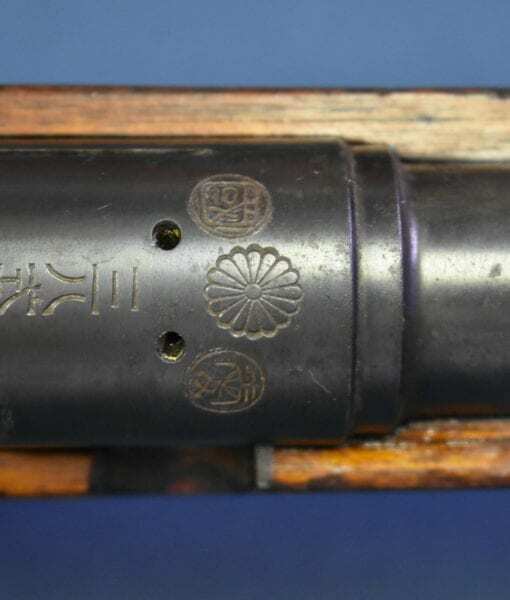 These rifles were donated to the Japanese Army and paid for by funds that were raised by patriotic civic organizations. 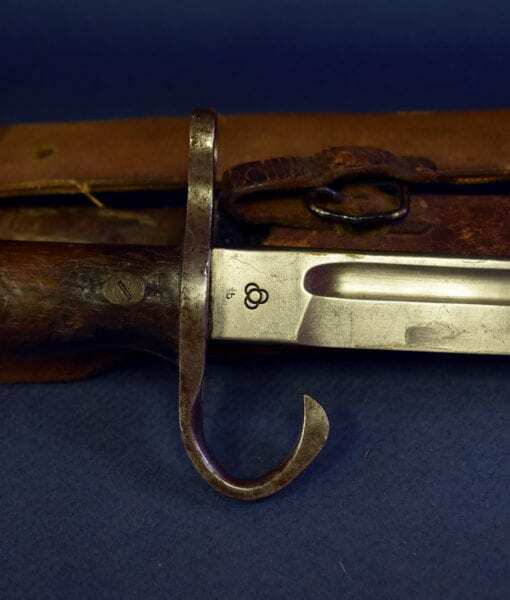 They were specially marked to signify that they were a gift to the Army. 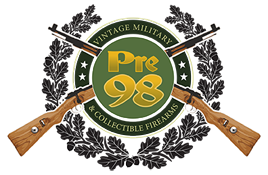 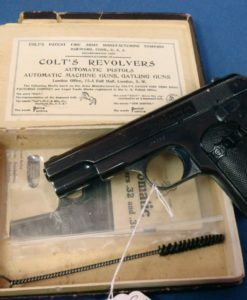 Besides rifles and carbines, funds were raised to pay for artillery tanks and even aircraft. 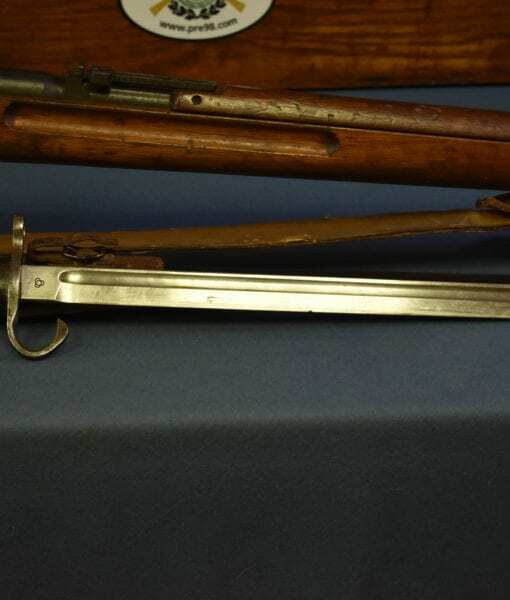 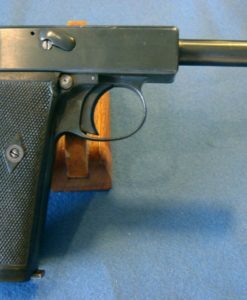 The rifle is all matching and also includes the bayonet as well. 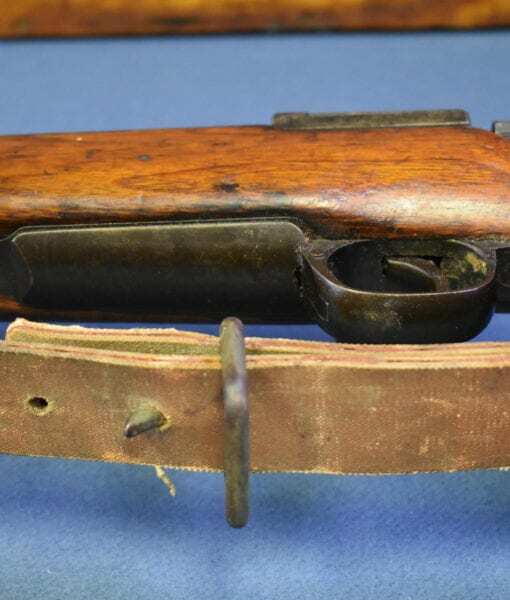 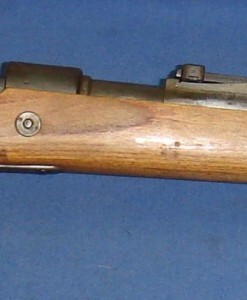 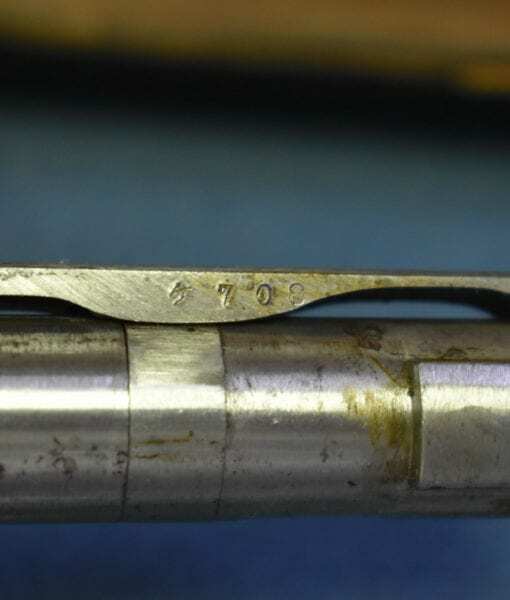 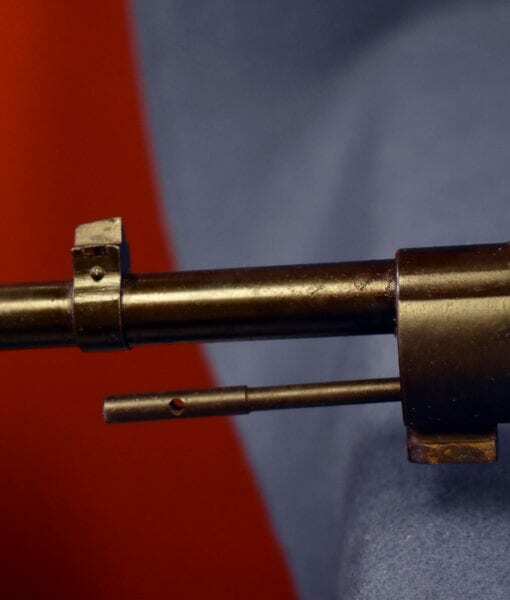 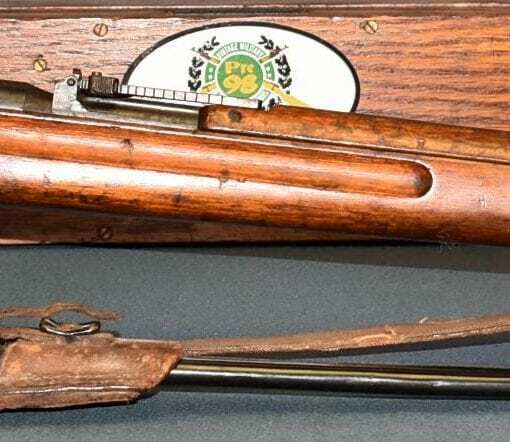 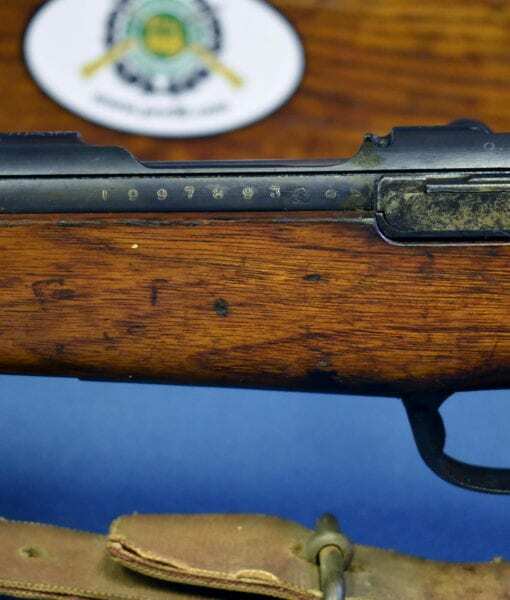 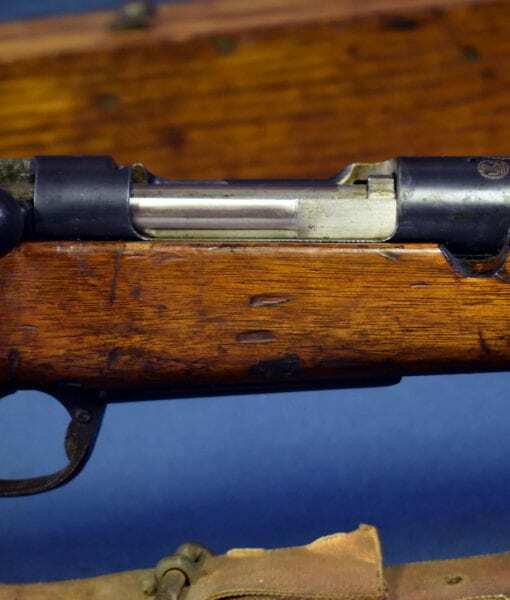 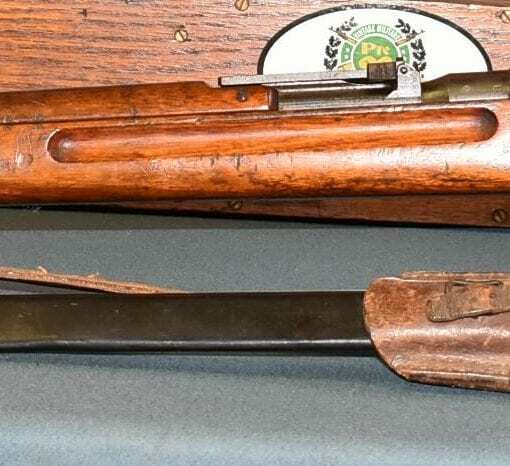 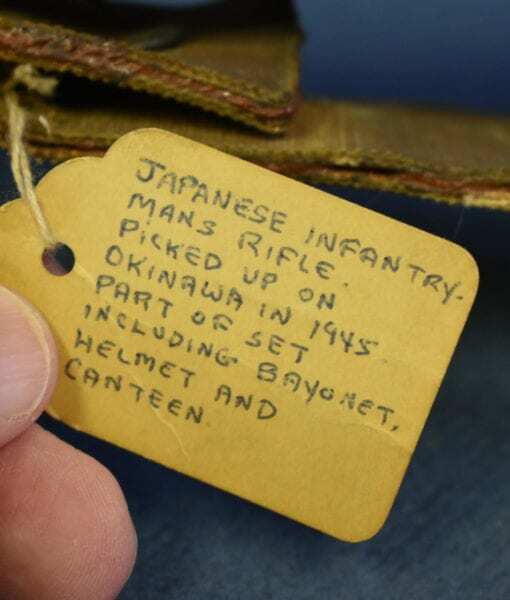 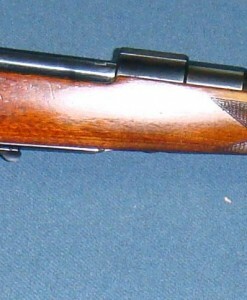 This rifle has a very old hang tag on it that documents the history of the rifle as a war trophy, it was captured on Okinawa and subsequently brought back by Navy Lieutenant R.S. 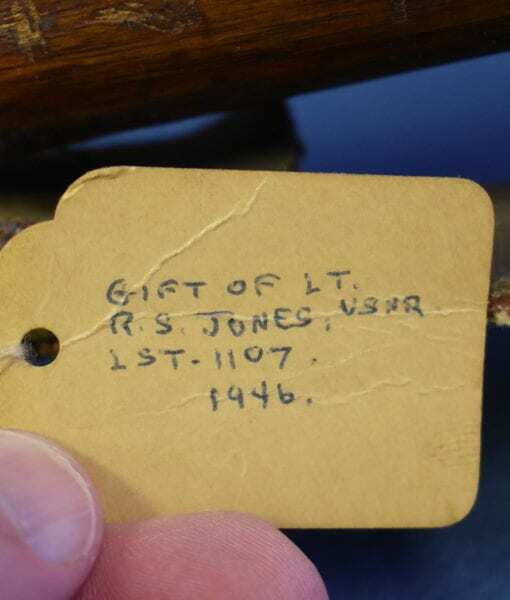 Jones from LST 1107 and gifted to the original owner in 1946. 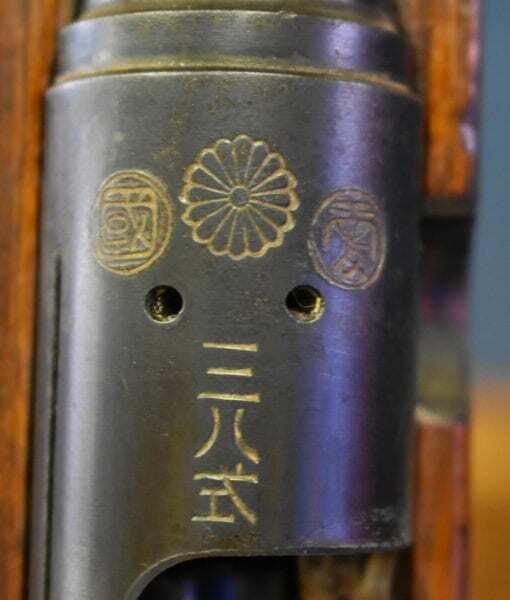 We know that this rifle will be a must have trophy for many of our advanced Japanese collecting clients.